The Government and Heritage Library invites you view new additions to the Our State Collection in the North Carolina Digital Collections! In October, patrons gained access to every issue and every story of Our State magazine from 1933 to 2015. Each month, Our State magazine celebrates the very best of North Carolina. Through detailed articles and beautiful photography, Our State captures life and culture throughout North Carolina. Published in Greensboro, North Carolina, the magazine started as The State in 1933. Since then, it has become a reliable source for North Carolinians new to the state or established for generations, young or old. 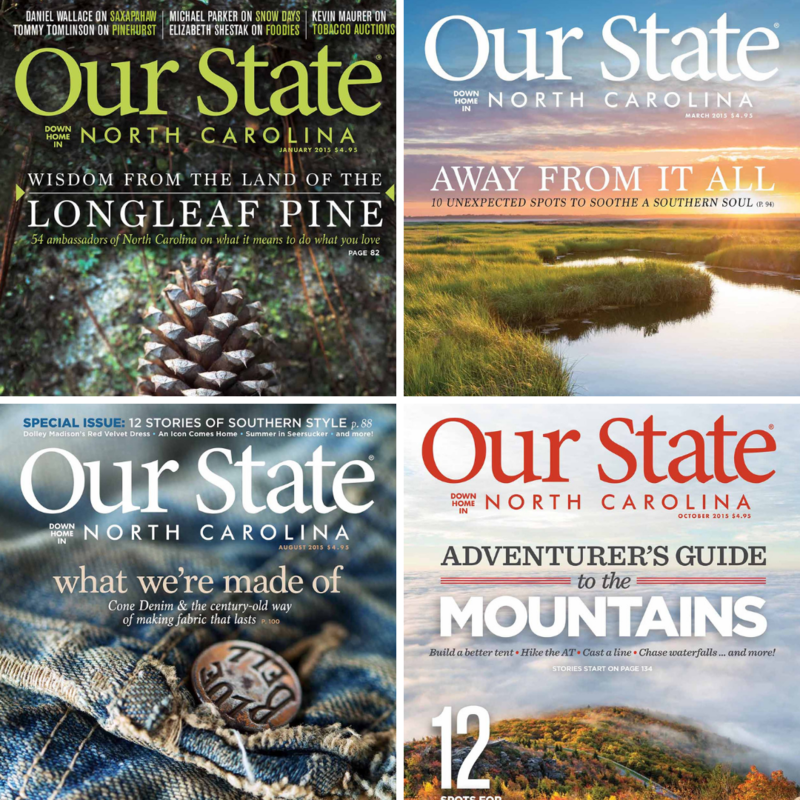 Information about and access to new content from Our State magazine is available on their website: https://www.ourstate.com/. From here, you can view content, watch videos, sign up for newsletters, and become a subscriber to the magazine. The Our State Collection is a project of Our State magazine and the Government and Heritage Library. The collection is an archive of past issues, staring with The State from 1933. In the archived issues, you can uncover family and friends featured in the magazine, whip up a special treat, check out old advertisements from your parents’ and grandparents’ generation, or read what was going on in North Carolina when you were born. The possibilities are endless! • Retro candy recipes in December. All issues have full text search. You can browse by decade, explore popular subjects, or go directly to a specific issue, all from the collections landing page. Visit the North Carolina Digital Collections at http://digital.ncdcr.gov/cdm/home/ourstate to view all the issues from 1933 to 2015.